Services include business logic and connect to external resources – like RESTful web services – a Services thus correspond to the model in the MVC. Services are instantiated as Singleton. 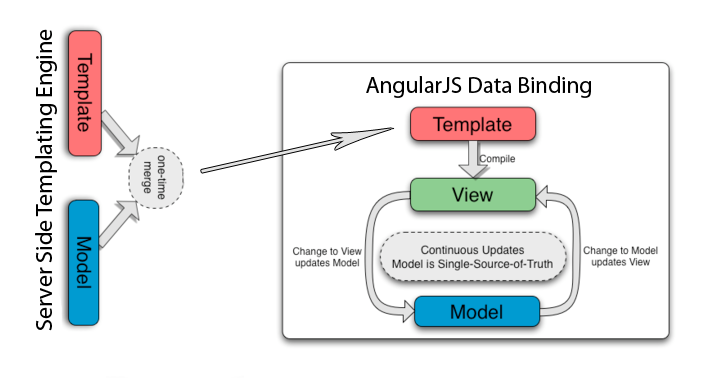 AJAX requests are carried out in AngularJS as $http object and $resource object. Internal access to the XMLHttpRequest object differ in the degree of abstraction. While $http arbitrary HTTP requests can make is $resource specializing in REST services. In addition, there are specialized services from some third parties. The controller can communicate with other controllers or services that may be from $scope or from $rootScope and $broadcast methods are available. $emit send messages to all the parent scopes, while $broadcast serves messages to child scopes. In order to define routes in single-page application (SPA), which is the purpose of ngRoute module. This routes can be defined. The ngRoute module can dynamically reload an element with the ng-view directive. This Article Has Been Shared 1484 Times!